Bitcoin is a form of currency existing only in the digital world. The technology was created by an individual hiding under an identity named Satoshi Nakamoto. To this day, the creator/creators of the system never materialized, maintaining an anonymous status. Bitcoins are not printed like traditional currencies as there are no physical representations for the cryptocurrency; it is produced by users and numerous businesses through a process called mining. This is where dedicated software solves mathematical problems in exchange for the virtual currency. A user takes control of it using electronic devices, which also serves as medium to complete transactions with the help of numerous platforms. It is also kept and secured with the employment of virtual wallets. 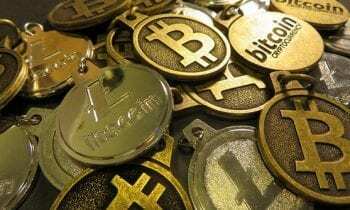 Bitcoin has the characteristics of traditional currencies such as purchasing power, and investment applications using online trading instruments. It works just like conventional money, only in the sense that it can only exist in the digital world. One of its unique attributes that cannot be matched by fiat currency is that it is decentralized. The currency does not run under a governing body or an institution, which means it cannot be controlled by these entities, giving users full ownership of their bitcoins. Moreover, transactions occur with the use of Bitcoin addresses, which are not linked to any names, addresses, or any personal information asked for by traditional payment systems. Every single Bitcoin transaction is stored in a ledger anyone can access, this is called the blockchain. If a user has a publicly used address, its information is shared for everyone to see, without its user’s information of course. Accounts are easy to create, unlike conventional banks that requests for countless information, which may put its users in jeopardy due to the frauds and schemes surrounding the system. Furthermore, Bitcoin transactions fees will always be small in number. Apart from near-instant completion of processing, no fees are known to be significant enough to put a dent on one’s account. What You Need To Know About Acquiring And Owning Bitcoins. Why trade in Bitcoins ? The system can be acquired by simply buying at an exchange. There are several exchanges that allow people to sell or buy the system using different currencies. Transfer is another way of acquiring it, where people send it to others using mobile applications or computers. A situation that is similar to sending money digitally. Mining offers another way of acquiring the system, where individuals compete to “mine” for it using PCs for purposes of solving complex mathematical puzzles. Today, winners are getting rewarded with about 25 Bitcoins every 10 minutes. The system is often stored in “digital wallets” that exists on the user’s computer or the cloud. The wallet acts like a virtual bank account which allows users to receive or send it, save their money or pay for goods. Bitcoins are fairly unique. Bitcoins are sovereign with their distinct rules, and aren’t printed in a clandestine manner by any bank but mined, they’re produced digitally by a good number of people involved in a colossal network or community. Miners usually employ enormous computing power, and a great deal of competition is involved in Bitcoin mining. Computers work to solve complex mathematical problems. The competing miners also have a prospect to earn Bitcoins in the process, by just solving the problem. Although, difficulty levels of these problems are becoming intense day by day. Transactions at the Bitcoin network are relentless and incessant, and keeping track of those transactions is fairly systematic. Bitcoin network keeps it methodical, as during a given time span, all transactions are collected in a block. The miners are supposed to validate transactions, and everything is listed in a general ledger, which is simply a collection of blocks, termed as blockchain. Blockchain actually holds the key to the details of any transaction made across various Bitcoin addresses.